MIAMI-May 15, 2015? 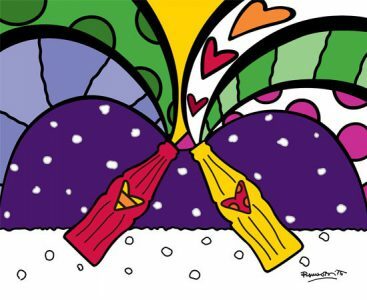 Yesterday, $250,000 was raised by internationally-renowned pop artist, Romero Britto, in support of Best Buddies International. The Sotheby’s Contemporary Day Sale auctioned an original painting created by Britto honoring President Kennedy and First Lady Jacqueline titled, “American Dream.” The presidential couple is depicted in Romero’s iconic style of bright colors, bold patterns and hard-edged compositions. The inspiration for this artwork stems from Kennedy, democracy, hopes and dreams. Founded by Anthony Kennedy Shriver in 1989, Best Buddies International serves to create opportunities for one-on-one friendships, employment and leadership development for people with intellectual and developmental disabilities. Best Buddies has grown from one original chapter to almost 1,900 chapters worldwide in more than 50 countries around the world. Best Buddies? eight formal programs positively impact nearly 900,000 individuals with and without disabilities globally.